Petersfield School is committed to providing a fully accessible school and school environment which values and includes all pupils, staff, parents/carers and visitors regardless of their education, physical, sensory, social, spiritual, emotional and cultural needs. We are committed to challenging negative attitudes about disability and accessibility and to developing a culture of awareness, tolerance and inclusion. Everyone at Petersfield is committed to providing the conditions and opportunities to enable any pupil with SEND (Special Educational Needs or a Disability) to be included fully in all aspects of school life. While our SENDCo oversees provision for pupils with a special educational needs or a disability or for more able pupils, every teacher takes responsibility for the provision for each child. Class teachers are responsible for the progress of every pupil in their class, including those pupils with additional needs. Our accessibility plan describes the arrangements we have already made and the further proposals planned, to improve physical access to the school, access to the curriculum and access to written information. The school has a policy for supporting children with special educational needs or disabilities which is revised annually. This policy is reviewed annually and will be updated in the Autumn term. From September 2018, Mrs Laura Penrose is SENDCo. understand the relevance and purpose of learning activities. Pupils may have special educational needs either through out, or at any time during, their school career. Effective parent partnership is essential in supporting the needs of a child with SEND needs. We encourage all parents to work closely with us so we can support them and their child at Petersfield. The Governor responsible for SEND is Mr Colin Wilson. For more information, please contact our SENDCo Mrs Laura Penrose (from September 2018). Please see our assessment leaflet for further information. Please see our SEND Report for more information about our provision. This report is reviewed regularly and will be updated in the Autumn term. From September 2018, Mrs Laura Penrose is SENDCo. 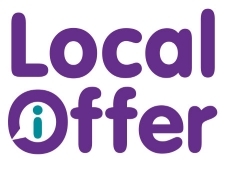 Cambridgeshire local offer provides information on services and support for children and young people age 0 - 25 with special educational needs and disabilities and their families.